The AVM HD (Heavy Duty) Semi-Universal Floor Mats are a Trim-to-Fit vehicle floor mats made from material that is designed to trap and contain debris and fluids from damaging your vehicle’s flooring. At WeatherTech, we are committed to applying new technologies and designs into our products. With our current Semi-Universal AVM (All-Vehicle-Mat) Floor Mat leading the market in technology, design and practicality, we have spent much time developing a user-friendly Trim-to-Fit floor mat that complements its AVM predecessor. Our findings led us to produce the newest advancement in floor mat technology and protection - the AVM HD (Heavy Duty) Semi-Universal Floor Mat. The first universal-style Floor Mat to incorporate specifically designed driver and passenger mats! The AVM HD Mats are made from our advanced rubber-like Thermoplastic Elastomer (TPE) compound that is an OEM approved, virtually odorless latex-free material, that contains no harmful PVCs, cadmium, or lead and is 100% recyclable! It also stays flexible in even the coldest of temperatures. 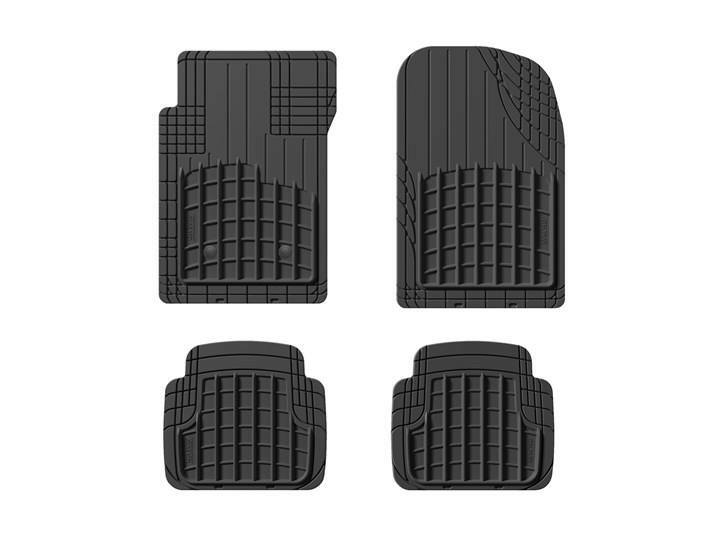 Similar to our AVM Floor Mats, the AVM HD Mat features a unique Trim-to-Fit shape that delivers superior coverage for front and rear driver and passenger floors. To help trap and contain fluids from accessing the vehicle’s floor, the AVM HD mat features a rugged tall outer ribbing structure and strategically designed reservoir. To ensure proper safety, the AVM HD mat features the patented TechGrip II retention device, and driver side grommets that have a water tight seal to secure mats to the floor and help prevent liquids from leaking through the retention grommet hole. The AVM HD mats also feature molded-in nibs on the underside for added fastening support. Remember – before you place your order, this is a trim-to-fit semi-universal-type floor mat. If you wish to have a custom mat for your 2015 Toyota Venza, please see our FloorLiner or All-Weather Floor Mats. Currently there are no testimonials for this product.